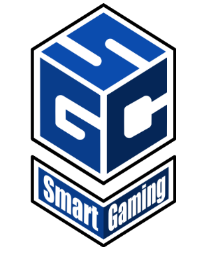 Escape Room Review: The Game Room Adventure Café – Smart Gaming Co.
August 14, 2017 August 8, 2018 Joshua S.
The Game Room Adventure Café is located in El Dorado Hills, CA. It features one escape room, plus a full board game shop and café. Their escape room is named “The Machine” and is a very high tech and cleverly designed room. The Machine is part two of a series of Escape Rooms being designed and operated by the Game Room Café. But, you don’t need to have played their first one looked at their Elk Grove, CA location to have a great time! The room has a very fun component of having the players start out in two separate rooms and having to get into a third room to finish your escape. While separated the players still have to work together by sharing clues found in each room to aid the other room’s puzzles. While the room is visually stunning and very well crafted, because of the level of difficulty I don’t recommend it as a room for a first timer, unless you are with an experienced group. However, If you have a few rooms under your belt you should definitely try out this great escape room! If you are interested in trying out The Machine of just want to play some great board games, here is a link to The Game Room Café’s website.